A unique hard case for your LG G3 S. Make your own case with a perfect memory and upload the photo. We'll print it and create your personalised phone case. Create your own LG G3 S case. A personalised LG G3 S phone case is now within your grasp. You are here because you are looking for something else than the bland and boring phone cases available to you at many stores in the UK. You are looking for a personal touch and GoCustomized will give you exactly that. Our LG G3 S hard case is a durable case with a great printing surface on the back. Your design will be printed on the entire back of the phone case. In addition to giving you that much needed personal touch, the case will protect your phone from all those nasty scratches and dents that seem to pop out of no where. 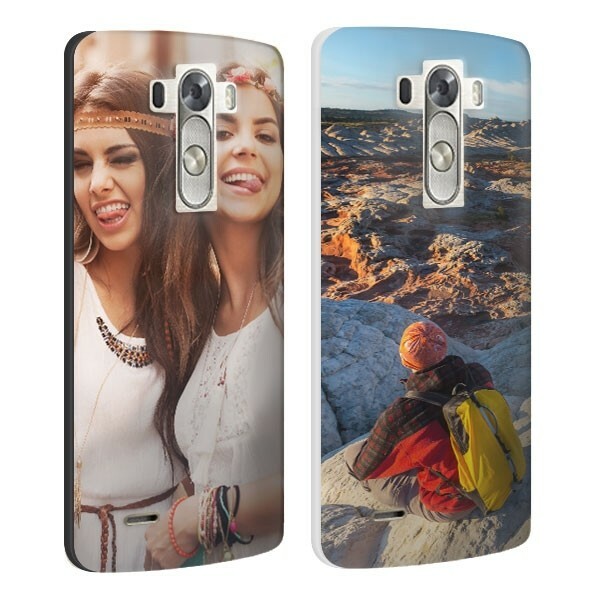 Get started on your personalised LG G3 S case now! Our easy to use design module. To make your customized case you are going to need some tools. GoCustomized has developed an easy to use design module which will help you each step of the way. Here you can easily upload your favourite images and start editing. You can reshape and re size your image and add some text using our text box. There are plenty of fonts and colours to choose from. Ensure you pick an image with the best possible resolution and quality. This will result in a better end result for your personalised LG G3 S case. Get started now! Each order is dealt with by one of our specialists. We dont run a mass production facility because we believe that we should equal the effort our have put in your design, into our production process. If one of your production professionals finds a flaw in your design that might result in an unsatisfactory end result, he or she will contact you with a possible solution. We ensure that your personalised LG G3 S case will be on its way to your within 24 hours of purchase. Shipping is free so what are you waiting for?